My short series on the new online mattress stores of Soho continues today. Part 2 of my trip to online mattress Mecca was a visit to Nest Bedding’s newest store (see Part 1, Leesa’s Dream Gallery here). Nest Bedding has always been a bit of a different sort of mattress company. 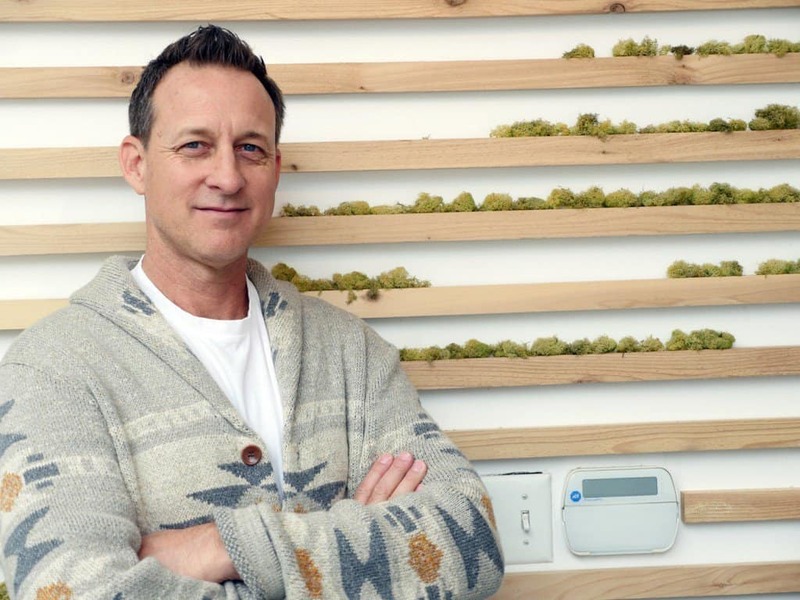 Nest got their start selling off-line in a small chain of stores localized mostly to California. Over the last couple of years they’ve grown up quickly and taken their place among many of the major online mattress brands. 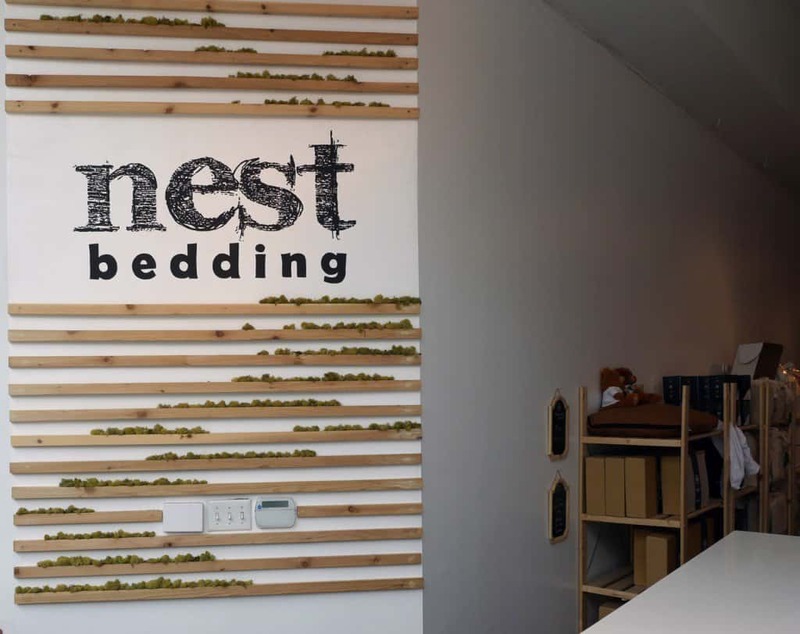 Nest Bedding’s newest Soho store had a similar style and experience to other Nest Bedding stores. The store has an open feel, with vaulted ceilings, all white walls, and a non-cluttered feel. The decor is simple and subtle, but helps really brighten up the store. When you first enter the Nest Bedding store you’re greeted with the front desk and Nest Bedding sign. A short shuffle along the main entry way reveals a much larger room where the various firmness levels of the Love Bed, Alexander, and Alexander Hybrid sit. Being a mattress and sleep blogger my experience through the store was probably a bit different than most. However, while I was there I did get to watch the Nest Bedding sleep consultant help several customers. 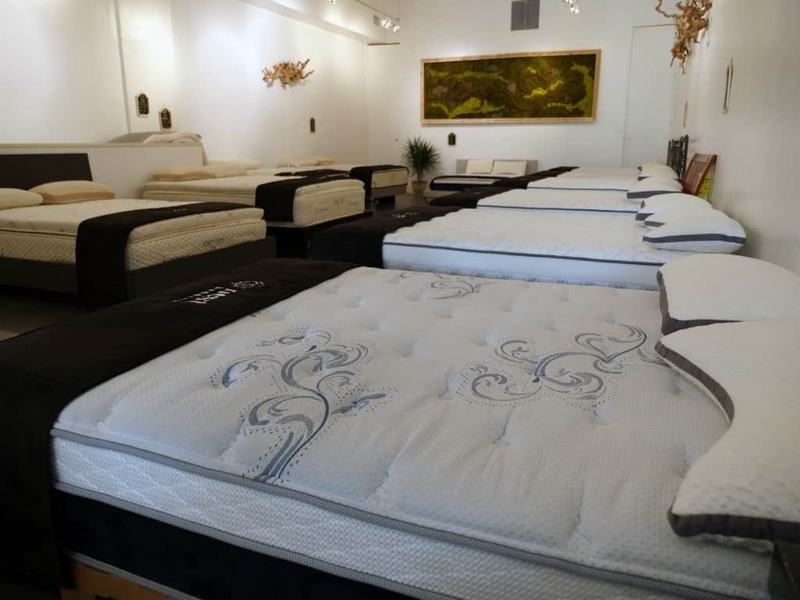 While the store at face value is similar in some respects to other more traditional mattress stores, the sales approach was quite different. Daniel, the SoHo store manager, helped customers like he was just helping his friends. More questions and explaining the differences between each mattress, and less telling and hard selling. My first mattress shopping experience was in a traditional store where a salesman was on my wife and I from the second we walked in the store. I kept feeling like I was being “directed” to some ideal purchase he had in mind, but never really felt like I understood any of the mattresses. I really appreciate the difference in Nest’s approach in this area. There is also a good sized room down in the basement of Nest Bedding’s store. In the basement you’ll find adjustable bases and a handful of other mattresses for testing. You can purchase mattresses and other bedding accessories directly from the store (many of which are available to take home that day) or make your purchase online for delivery via UPS. Over the last 2 years I have slept on well over 50 different mattresses. Virtually every mattress available online has laid on my bed frame at some point. During the last 2 years of testing I’ve seen a wide variety of designs, materials, and overall performance. Some mattresses end up lacking, some are good, and some are truly exceptional. But the biggest differentiating factor that I see behind the online mattress companies that are really doing something special always always comes back to the people. Good people can make or break the experience of shopping for and buying a new mattress. It’s these same people that you’ll end up working with if something goes wrong and customer service needs to step in. The team over at Nest Bedding is comprised of good people. Lead by founder, Joe Alexander, they really do put their finest into creating a non-pressure experience in-store, providing detailed information online, and ensuring great customer service from start to finish. Statements like these are not ones that I doll out lightly or very often. 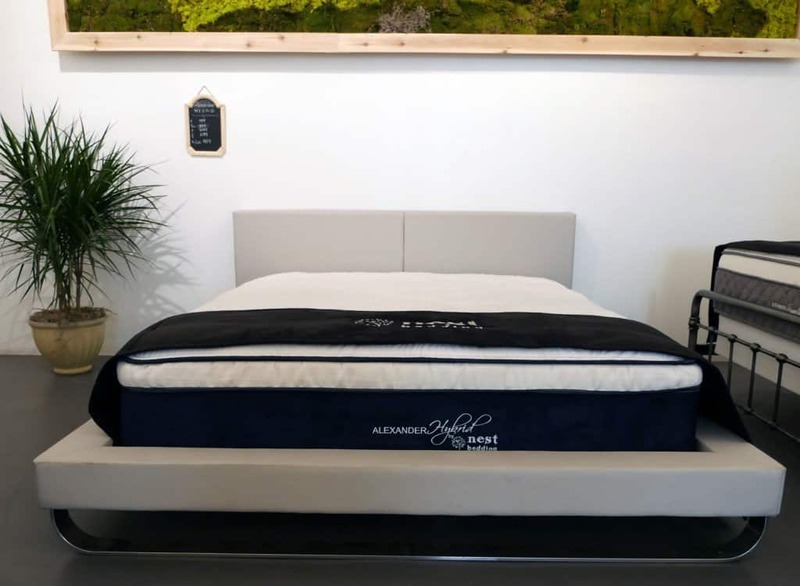 All companies that I review on Sleepopolis go through a gradual and long vetting process, not only to ensure the quality and performance of the mattress, but to ensure the integrity, honesty, and customer service of the operating team. Nest Bedding has repeatedly proven themselves in all of these areas and continue to be one of Sleepopolis favorite mattresses. Was recently rearended and could use this! Thanks for the chance! I am so grateful for your reviews. My husband and I have slept on the same organic mattess for 17 years and we are anout 7 years overdue for a new one. With the help of your detailed explanations and the great pricing of on-line companies we will hopefully be sleeping in blissful comfort by next week! Thanks very much for your kind words! I’m glad Sleepopolis has been helpful. Wow! 17 years is quite a long time. Please let me know if there is anything I can do to help during your mattress search.